Granada is a popular travel destination in the Andalucia region of Spain. It's rich in history and culture, and there is no shortage of hostels in the area. If you're traveling alone, it's easy to find a hostel that hosts various activities including walking tours, barbecues, and evening parties. These activities are a great way to meet other guests while you're in town. 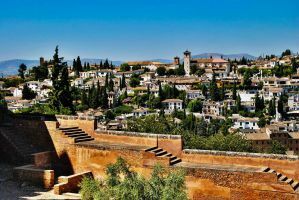 How much do hostels in Granada cost? 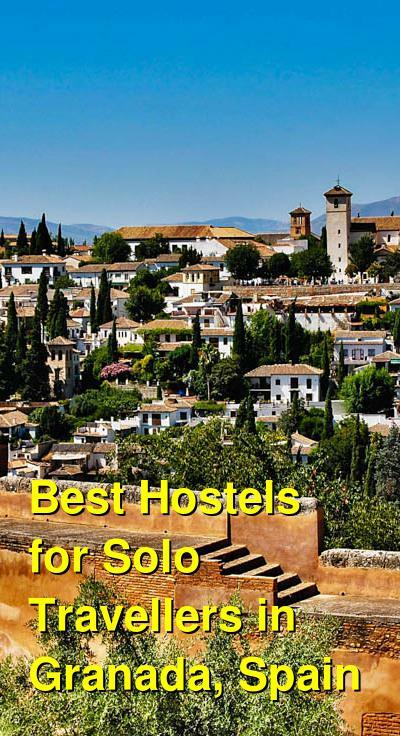 Where are the best hostels in Granada for backpackers and budget travelers? Makuto Backpackers Hostel is a great option for people traveling alone. It's located in a historic mansion in the Albayzin neighborhood in Granada. This area, the Arabic quarter, is known for it's narrow streets and quaint shops. The hostel is small but it has lots of character and plenty of common areas where guests enjoy relaxing. There are even hammocks that you can lounge on after a long day exploring the city. The hostel also has a patio, barbecue, bar and a "tree house" that encourages guests to hang out and get to know each other. In addition to its unique atmosphere, the hostel has other standard amenities including free breakfast, wi-fi access, and travel information. The staff at the hostel are very helpful and work hard to keep the atmosphere light and fun. They host barbecues, paella dinners, and free walking tours of the city. They also organize a variety of activities and tours for guests including paragliding, flamenco, and trekking trips. The hostel is not a "party hostel", so you can expect a decent night's sleep here, but it is a social hostel where you're sure to make plenty of friends. Oasis Backpackers Hostel is a social hostel, so it is a great option for independent travelers who want to enjoy Granada and meet other backpackers. The hostel is also conveniently located in the Albayzin area and is surrounded by cobblestone streets and small teashops. This area is quaint and beautiful. It makes it easy for you to immerse yourself in the city's unique atmosphere. During the evening there is a vibrant nightlife in the area so you will never be at a loss for things to do. You're also just a short walk from many of the city's top attractions including the Alhambra. The hostel organizes a range of activities including tapas tours, affordable dinners, and pub crawls. They also host a weekly backpackers party that is the perfect way to meet other guests. The hostel also offers the typical amenities including breakfast, warm showers, and comfortable rooms. There is free wi-fi access, satellite television and DVDs available. Guests also have access to a full kitchen where they can prepare meals. If you just want to relax with other guests there is plenty of common space including a roof top terrace, a lounge, and a bar. White Nest Hostel is a popular option for travelers from around the world. If you're traveling alone, you're sure to meet some new people during your time here. The hostel is friendly and welcoming and the atmosphere is lively. It's located in the Albayzin neighborhood and offers free daily walking tours. You can easily walk to plenty of restaurants, shops, cafes, and many of the city's top tourist attractions. The hostel has large dorms that are comfortable and well maintained. There are both dorms and private rooms available, and shared bathrooms are available on every floor. There's a shared kitchen available as well that includes all of the essentials you might need. If you're looking for a comfortable place to stay in a central location, then this is a great option. There are sure to be plenty of other guests around during your time here, so if you're traveling alone, it won't be long before you make some friends. This hostel is a unique option in Granada because some of the dorm rooms are actually shared apartments. If you choose the Deluxe Shared Dorms, you get an apartment that sleeps six to eight people. Each apartment includes a full kitchen, dining area, sofa, reading area, and private bathrooms (shared between six people). There are several rooms in each apartment so you can have privacy and peace. Double and single beds are both available. The hostel also has a large patio with lots of furniture and places to lounge. There is plenty of common space throughout the hostel where you can meet other guests. If you're traveling alone and want to stay in a hostel, but also want a little more privacy, then this is a great option for you. Prices are reasonable and standard dorms are also available for those on a tighter budget.